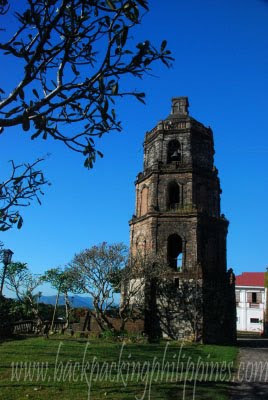 Located on a hill overlooking the town of Santa Maria, Ilocos Sur and surrounded by a defensive wall, the imposing Church on a hilltop can be reached via hill side steps or by a service road with entrance at the back of the brick structure designed to Augustinians to withstand earthquakes. 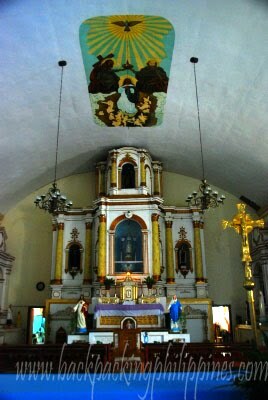 Original church structure by Augustinians as a chapel in 1769 with patron Our Lady of Assumption (Nuestra Señora de la Asuncion). The present stone and brick church was built in 1810 as stated on the NHI marker on the church facade. It's presently undergoing restoration and structural support repair to make it last for posterity. What makes Sta. 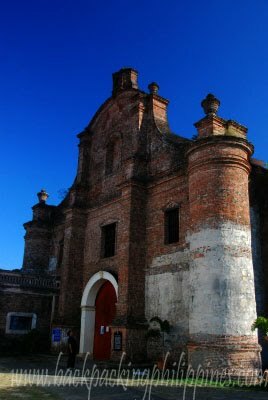 Maria Church unique is that it is a UNESCO World Heritage site, one of the four Baroque Churches of the Philippines (the three others are San Agustin Church Manila, Miag-ao Church in Iloilo and San Agustin Church (Paoay Church) in Ilocos Norte). The church has remarkable universal value that should be preserved for the benefit of mankind. Sporting the earthquake baroque architecture distinguished by it's massive buttresses to withstand earthquakes common in the Philippines and a belfry separate from the main church so as not to "bang heads" with each other during temblors. 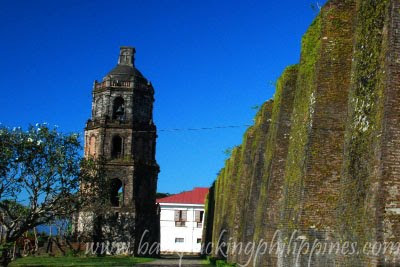 i think the reason why they can't renovate it because they want to treasure the history of the place ..
Ah...am confused is the church in Philippines. It looks absolutely stunning, I will have to visit on my next trip to the Philippines. been to sta maria church twice...first i have a lousy camera... the second it was raining... ive seen all the churches of UWHS and this one is by far (in my opinion) the the best preserved without making it look like it had a terrible facelift... the white concrete on a brick facade i do not understand also.